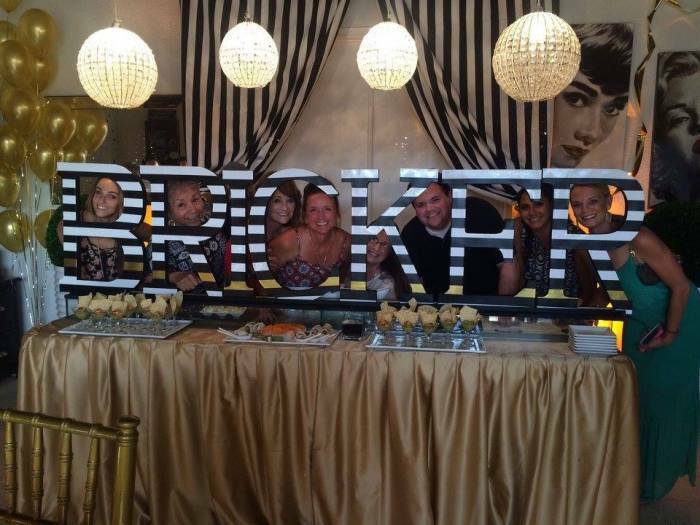 Paying for an event designer’s services brings specialized experience into every aspect of your event. 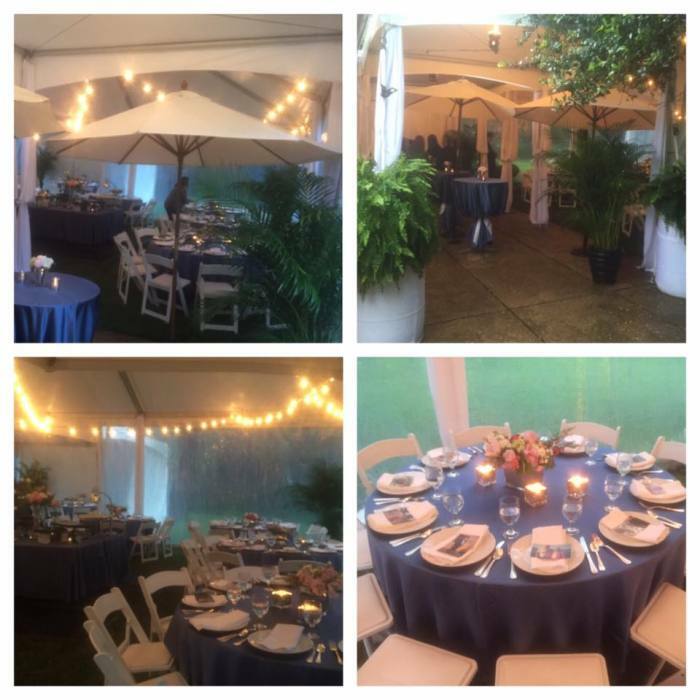 Event designers have “seen it all” as they have experience planning and overseeing all types of events. 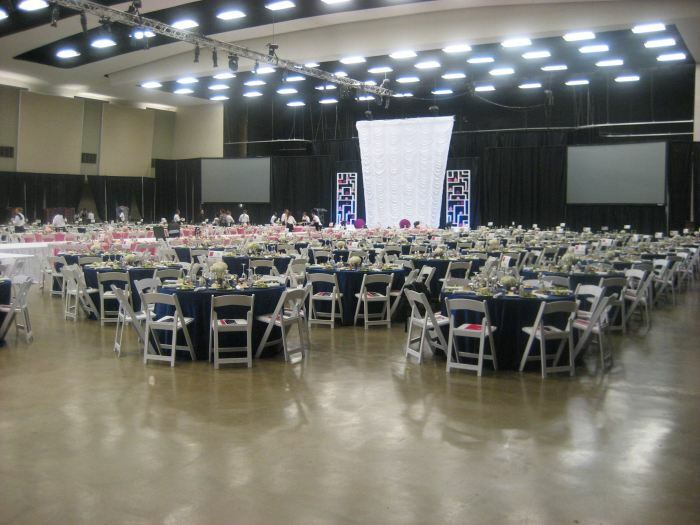 This allows them to navigate quickly through the myriad of event details and emergencies. Pendley Party Productions serves as your creative partner -- not just by overseeing logistical matters -- but providing a wealth of resources, ideas, opinions and insights. 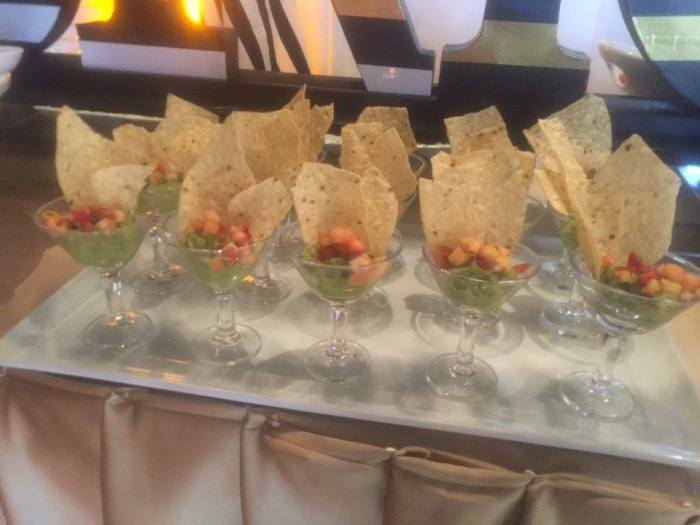 Pendley Party Productions has professional relationships with vendors in all budget categories that they have thoroughly researched so you avoid the hours of legwork ensuring vendors are not only legit, but are the best they can be. 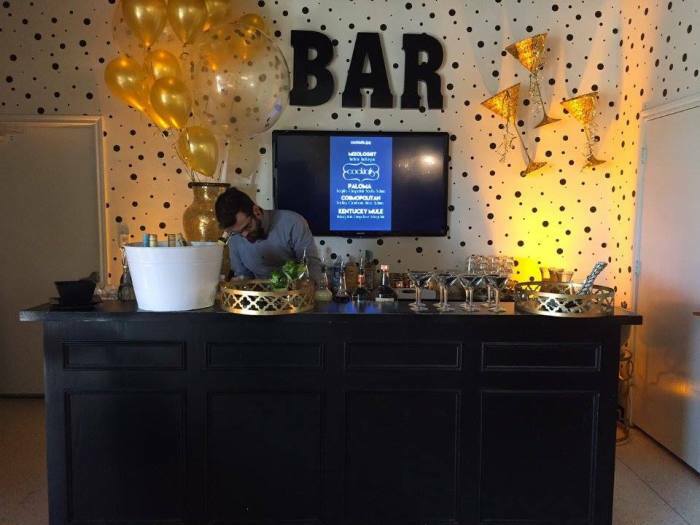 Hiring Pendley Party Productions will save you stress during the planning process and especially on the actual day of your event so you can enjoy your party and your guests to the fullest. Event design fees start at $150 (based on the size of the event). 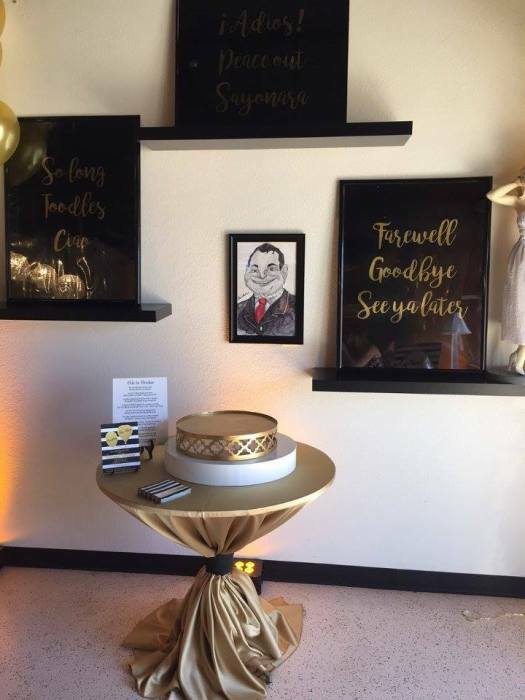 We believe that the event design fee is more than paid for through money saving idea generation, vendor negotiation capability and automatic discounts, access to a vast complimentary event décor inventory, eliminating your need to learn best practices in event planning from scratch, lessening your stress level, and, most importantly, saving you valuable time. 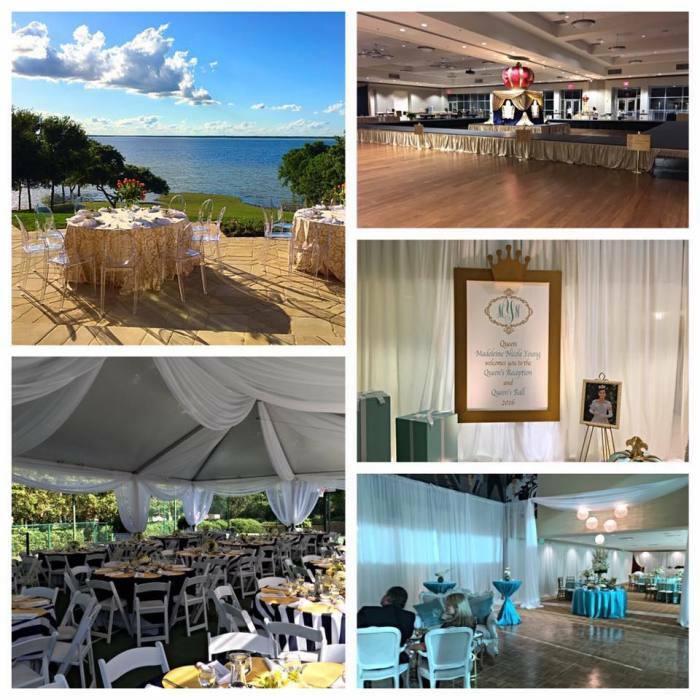 Included in Pendley Party Productions’ consultation services are meetings with a designer to discuss ideas and followed by a customized event design proposal based on the consultation and a worksheet you fill out about the basics of your event, and also a floor plan of the venue. Because Pendley Party Productions is in high demand, we require a “hold the date” fee of $500 that is refundable after the event. If items are missing or damaged, the replacement cost will be taken out of the $500 and the remaining balance will be refunded. 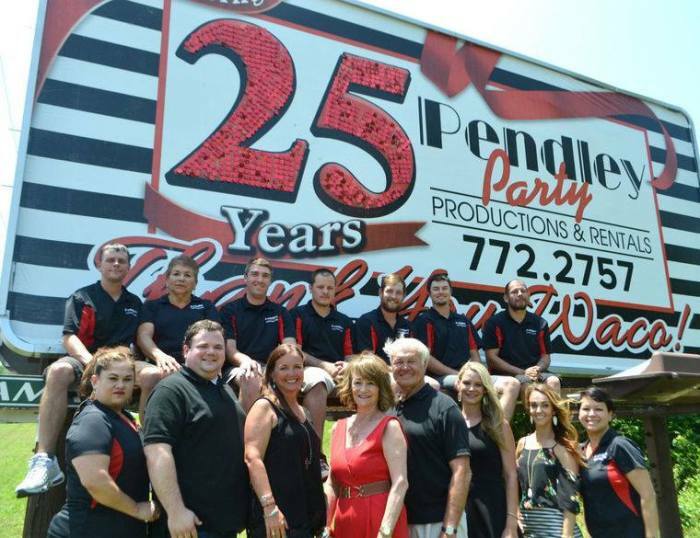 Pendley Party Productions has thousands of items for rent in our 10,000 square foot warehouse. These items range from linens, dinnerware, vases, candelabras, tables, chairs, and drape to more “theme” oriented items. Call to make an appointment to have our staff show you around our warehouse and prepare a price quote based on the items you desire. A down payment of 50% confirms the items with the balance due at pickup or delivery. A credit card number will be kept on file as a deposit. Any missing or broken items will be charged at replacement cost, including linens that are stained or damaged. If the replacement cost is not paid within 7 working days of notice, the amount will be charged to the credit card. Rental items are due back the first working day after the event. Our standard Delivery and Pickup charge starts at $75.00, Monday through Friday in Waco, scheduled between 8:00 am – 5:00 pm. Special containers are provided for your china, silver, glassware, etc., to insure that you receive your items sanitized, undamaged, sparkling, and table-ready. Our delivery personnel are instructed to neatly stack all items in a mutually convenient place on delivery. Rates quoted are for ground floor deliveries to your door. Setup and takedown is available if arranged in advance with our office staff. For out of town Deliveries and Pickups, a mileage and truck fee may be added to the total. Deliveries and Pickups can be scheduled anytime outside of our regular business hours, including Sunday. Pricing for this service begins at $100.00 and can increase based on time, location and size of order. 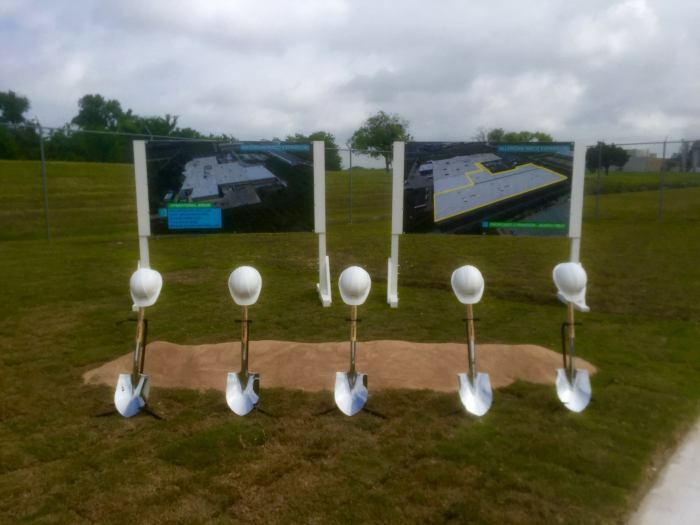 Call us at (254) 772-2757 for a quote. 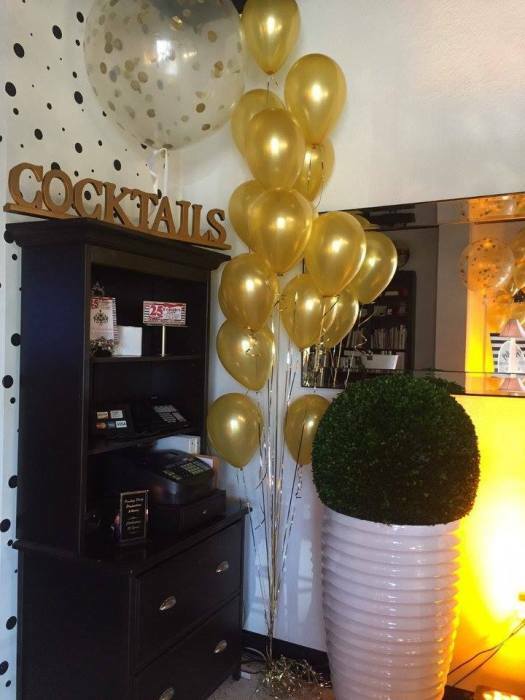 Our most popular service is the totally customized turnkey event, which includes all decorating details from planning and executing to the cleanup of the decorations. This is perfect for those who would like to see the event executed without having to be setting and cleaning up the decorations, leaving more time to enjoy the event. Working with the client, the event is designed and a proposal is prepared for the client’s approval. Once the client signs the proposal, a 50% down payment is taken to confirm the items. We also require a $500.00 deposit that will be refunded after the event. Replacement cost for any items that are broken or damaged will be taken out of the $500.00 and the remaining balance will be refunded. The remaining balance for the event is due the week before the setup. Any last-minute additions will be charged to the client in a separate invoice. 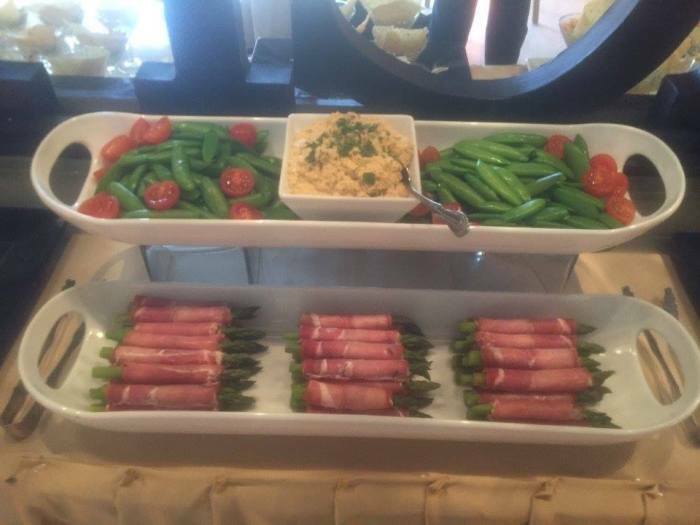 Give your guests the V.I.P. treatment! Whether you need valet parking service for a small dinner party or for a large corporate event, you can count on us to treat your guests and their vehicles with the utmost respect and care.